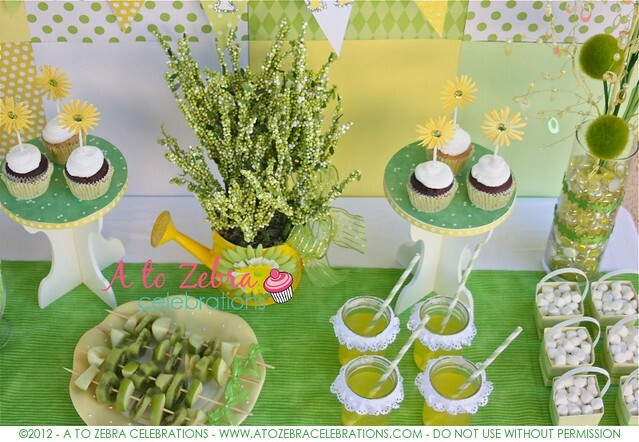 I’m excited to share these new Spring party ideas! 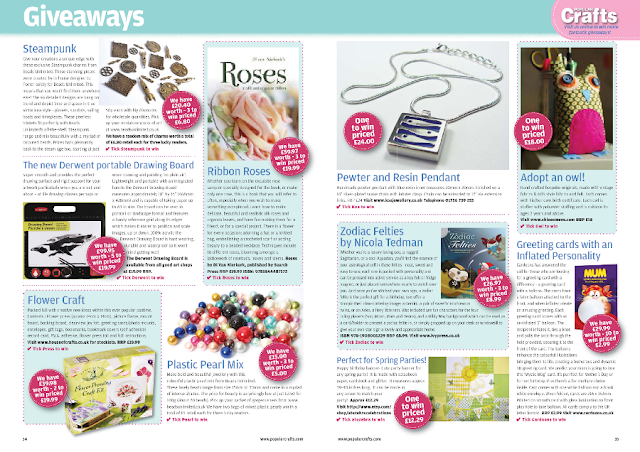 Thank you to Popular Crafts magazine for the amazing feature in their March issue. These ideas are super simple and affordable. I didn’t use any printables. 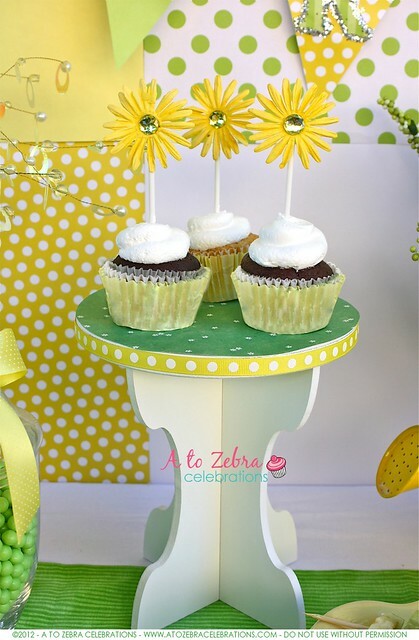 You can find a cute spring invite on Evite.com. I decided to go with a yellow and green color scheme. I love these fun, bright colors for Spring! TIP: go around your house and gather all your Spring decorations before setting up your table. Believe it or not, several pieces on this table are from garage sales, Goodwill and the Dollar Tree. Glass jars at each end with flower decor – garage sale $1 each. Green paper straws from Cakes And Kids Too‘s Etsy shop. 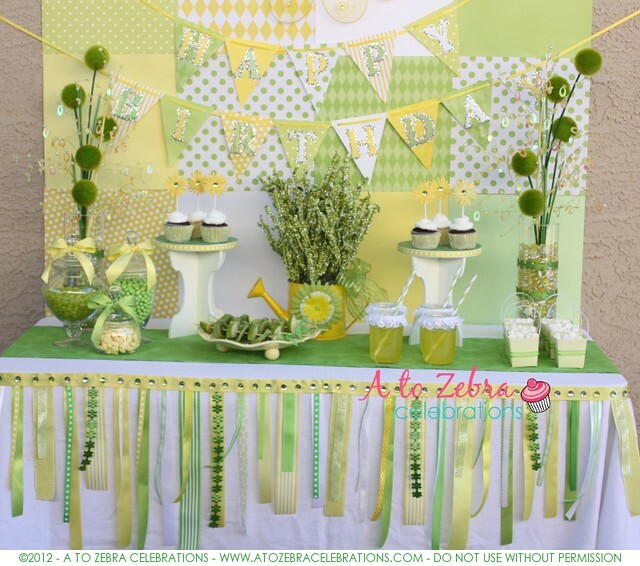 I thought it’d be great to show you how you can take this table, change a few things and you have another set up for a baby shower. 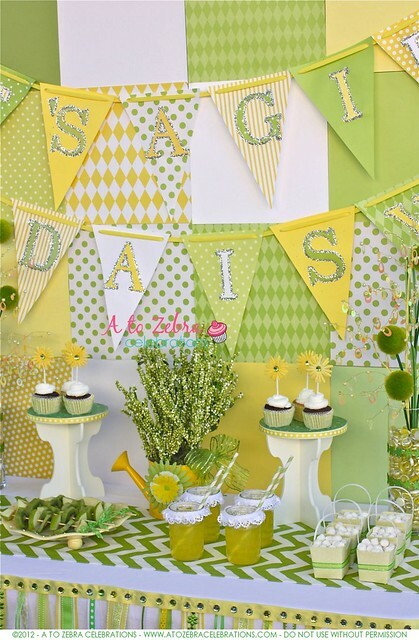 Theme: It’s a Girl, Daisy! 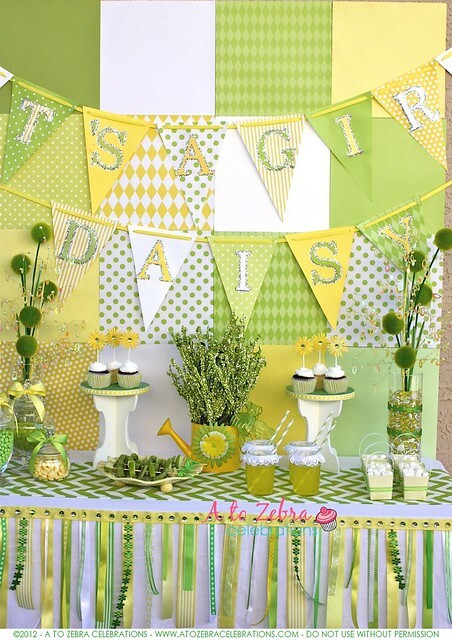 I changed the banner and table runner…..that’s it! The backdrop on the wall is scrapbook paper. Each sheet is 12X12. If you buy the sheets when they are on sale, you can get 4 for $1. 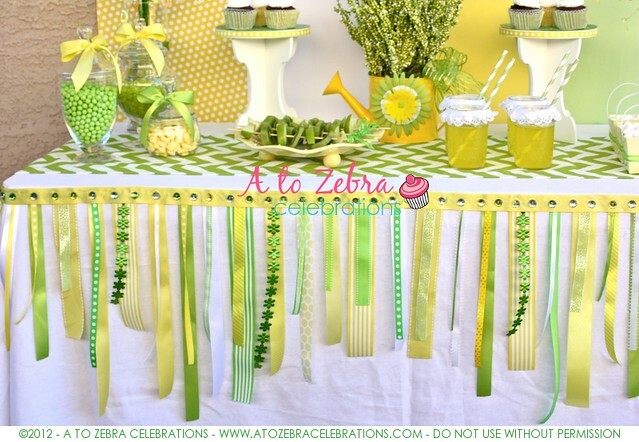 I made the banners, ribbon garland and table runners. You can purchase all of them in my shop, A to Zebra Celebrations. What do you think? What’s your favorite detail? That is amazing, you inspire me!! 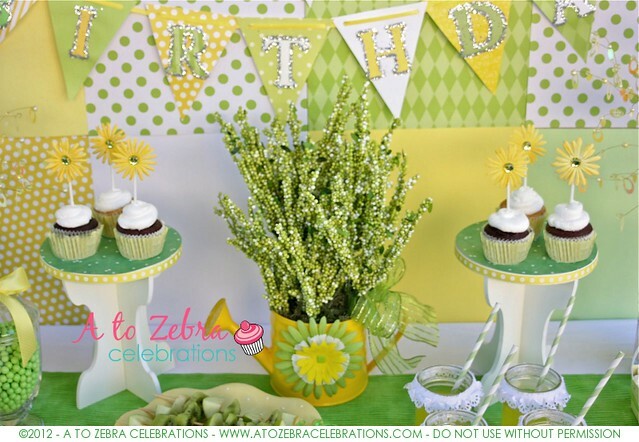 Another absolutely amazing party design. I'll always inspired checking in here. Thanks so much for linking up! I will be featuring you today! What a beautiful party!!! Absolutely gorgeous and perfect for spring! Love that banner!!!! 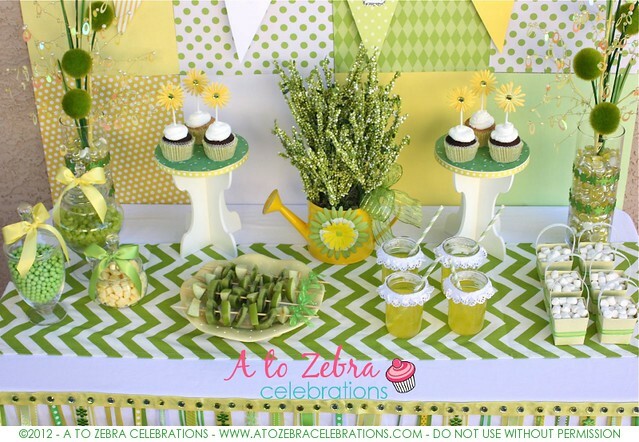 Great spring colors that could also be adapted for a fun St. Patty's Day celebration! Awww! 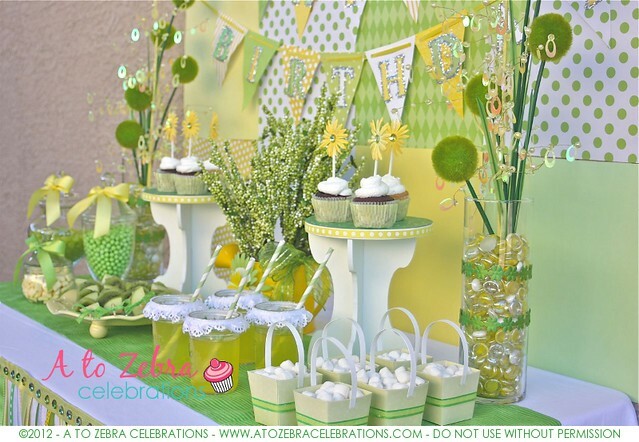 Such a pretty party – I like the colors! Beautiful table!! Love the colors and the details! What a cute theme! Love the color combo and the cute lace around the mason jar glasses. OH my goodness! 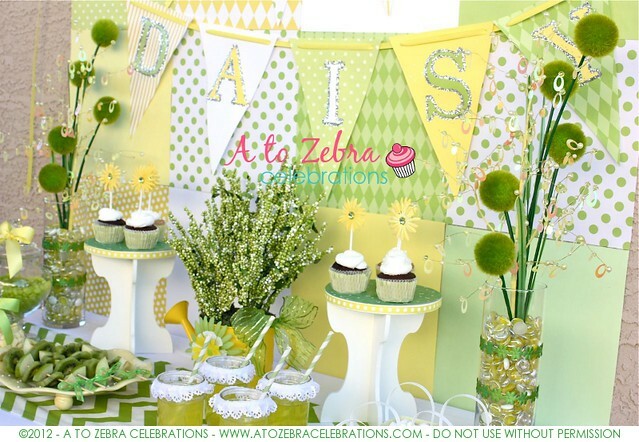 This is just too beautiful…and as my toddler has declared green as her fav color I am so excited about this idea for her birthday! 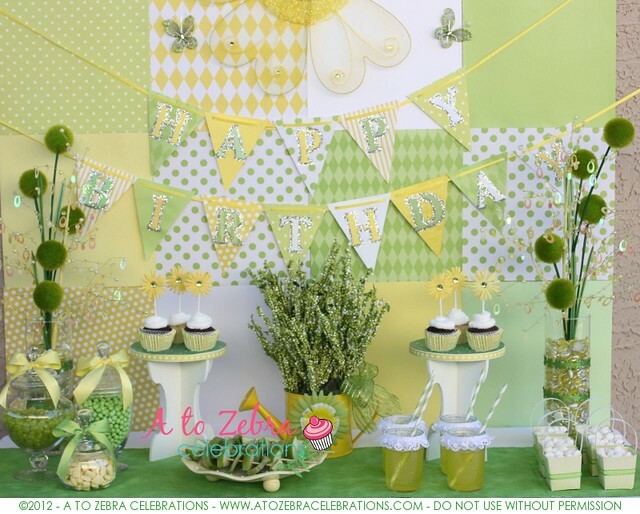 Would love if you would share on my linky party. 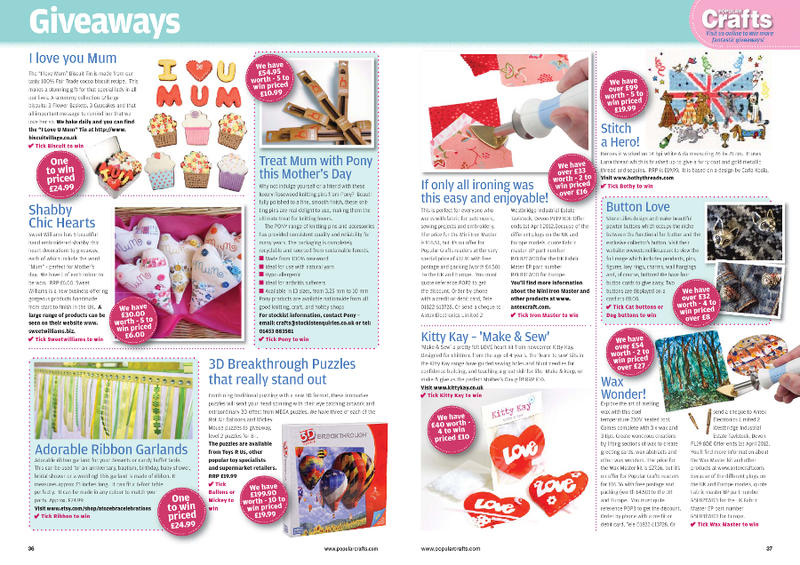 Destination: Inspiration at Teagan's Travels! You are so creative and resourceful finding such cute materials at a bargain! My favorite detail? The touches of glitter you added! WOW!! Congrats Nancy! !1 Everything looks so beautiful!!! I love every single detail! !